Here an unusual shaped block for a Yalyalup Patio is miraculously transformed with tapered flat outback patio, combined with a gable and then another tapered flat. The final result was amazing. just call the team 1300 660 978 for what we can do with your space. 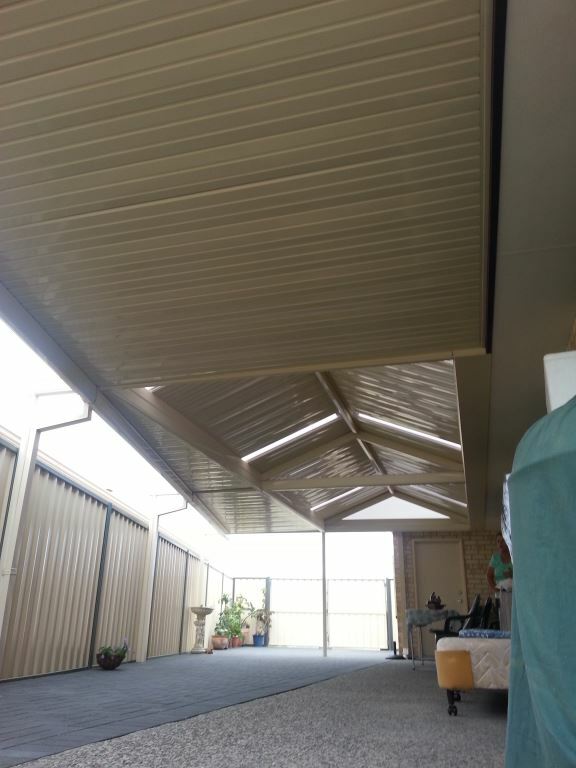 We also do Re Roofing, Gutters & Downpipes, Patios, Carports & Pergolas, Skylights, Vinyl Cladding and we cover from Perth to the Wheat Belt to Down South in the South West.